Editor’s note: Have you ever wondered that you might be in some sort of weird game in the ED? The thought that perhaps we are are players in a strange, complex and seemingly uncontrollable system of rules, outputs, scores and results (none of which are actually that clear to be honest). Well maybe you’re right. In this post on game theory, Craig Ferguson explores why managing the ED might well be a game, but one in which the rules are far more complex than they might first appear. 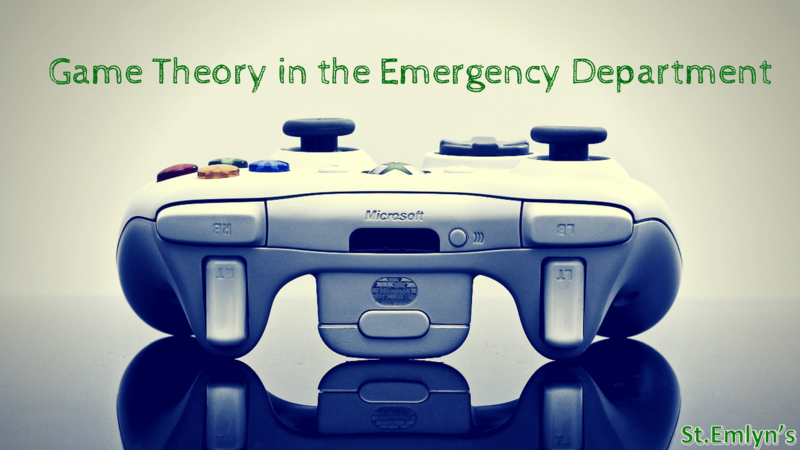 This blog takes us through Game Theory and its application to the practice of emergency and acute care. Personally I find this sort of stuff really interesting, but also strangely reassuring. My conclusion is that there is are many reasons why I’m not personally responsible when the department ‘falls over’. Craig’s explanation below reinforces the view that there are powerful forces at work outwith my control and influence. Why is that useful? It’s because it makes me feel less personally responsible, and that’s good for my mental health. I do worry about my colleagues who feel personally accountable for everything that happens, and whilst I agree that as leaders we take our fair share of responsibility, I only worry about those elements which are truly mine. In order to understand what’s mine, I also need to understand what is beyond my control. This is where an understanding of game theory might help. Over to Craig to explain why……. Game theory was first described by John von Neumann in the 1940s. He used this theory was used to explain human behaviour with a focus on decision-making in economics. Since then it has been applied to many other aspects of society such as education, business and personal relationships. James Cares expanded on the idea of infinite games in his book ‘Finite and Infinite Games’ (1986). Simon Sinek, a motivational speaker and self-confessed optimist, has taken this idea further in his presentations (https://whttps://youtu.be/_osKgFwKoDQww.youtube.com/watch?v=_osKgFwKoDQ). Although Sinek focusses on the world of business, it is not difficult to see how this applies to the business of healthcare. 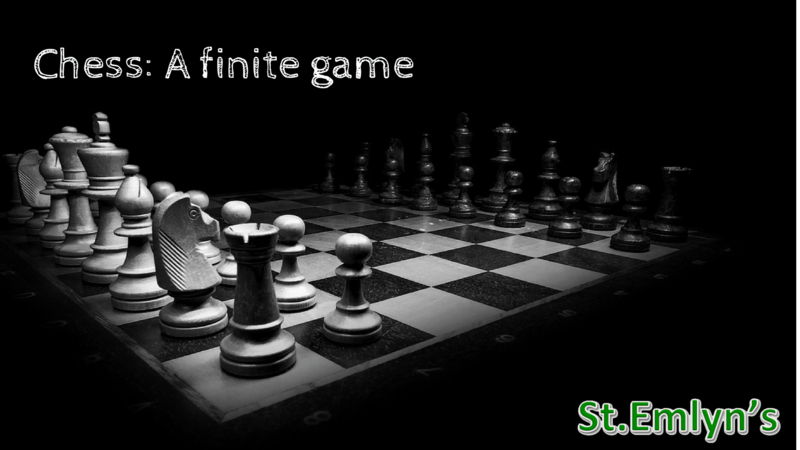 Finite games have a known number of players; the rules are agreed in advance by all parties; the game has a defined end point; at the end of the game there will be a winner and a loser or the game will result in a draw. Chess is a finite game. When a finite player plays against another finite player in a finite game the situation is stable. Everyone understands that a soccer game starts with the whistle and the team with the most goals when the whistle blows at the end of the game is the winner. Nobody can decide to switch teams halfway through, add a second soccer ball to the game or play for an extra ninety minutes; everyone knows and agrees what the rules are. 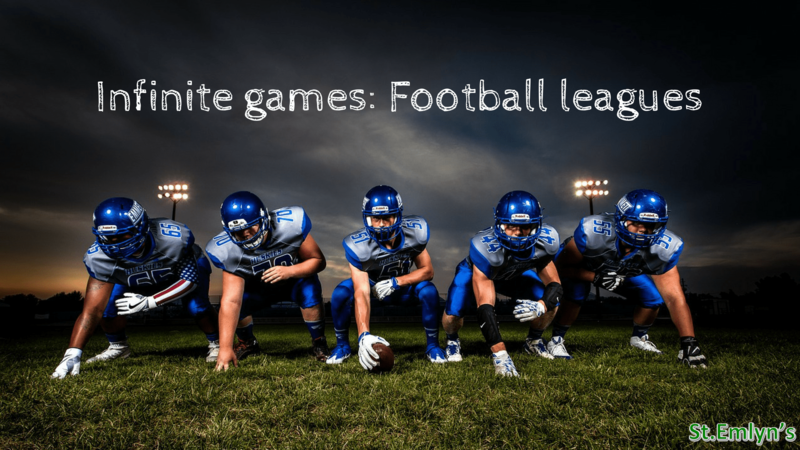 Infinite games have known and unknown players; the rules are mutable; the aim of the game is to continue indefinitely and players drop out when they lose the desire to play, run out of the resources to continue, or are merged with / absorbed by another player. Running a supermarket is taking part in an infinite game. Infinite games are also stable when infinite players are taking part. Consider a soccer club playing in league. Of course, they would like to win the league, but the real aim is to stay within the league. Winning the league in 1992 does not provide any protection against relegation from the league in 2018. It is possible to have finite games within a infinite game, e.g. the football club plays individual football matches as part of their survival in the league. Or, you might take exams on the way to your infinite game goal of being an excellent Emergency Physician. So, finite games with agreed rules and a fixed end-point can exist within in the infinite game. You can also have fixed goals within the infinite game. When you are running a marathon you may check your pace against mile-markers to measure your progress; however, you wouldn’t get very far if you treated the race as four hundred and fifty, 100m sprints raced back-to-back. Things become difficult if a finite player tries to play the infinite game using finite rules. One problem is that no one ever agreed the rules. Finite rules in an infinite game are completely arbitrary and tend to be meaningless in the context of the infinite game. A company can call itself ‘Number One!’ But by who’s measure and in what context? The biggest? The fastest growing? The most profitable? The largest turnover? Most employees? Largest factory? Most mentions on social media? And in what time period? A lot of companies could (and do) declare themselves ‘number one’ by choosing their own criteria and context. Another issue with trying to play an infinite game with finite rules is that you can focus on chasing short-term goals as though achieving them will ‘win’ you the game. These short-term goals are at best proxy-markers for success in the longer term; at worst they can lead to a completely inappropriate application of resources. Consuming all your resources in the pursuit of speed is bound to have some consequences for the quality of your results. Short-term finite games tend to focus on efficiency, a target of event numbers within a fixed time period, and therefore do not embrace innovation. Powered, manned, flight has revolutionised the world but in the years before the Wright brothers got airborne at Kitty Hawk, you would have got pretty far in a train while the innovators were out crashing winged-bicycles. A business based on quarterly, or even annual returns would have bailed out years before parachutes were even invented (or necessary). 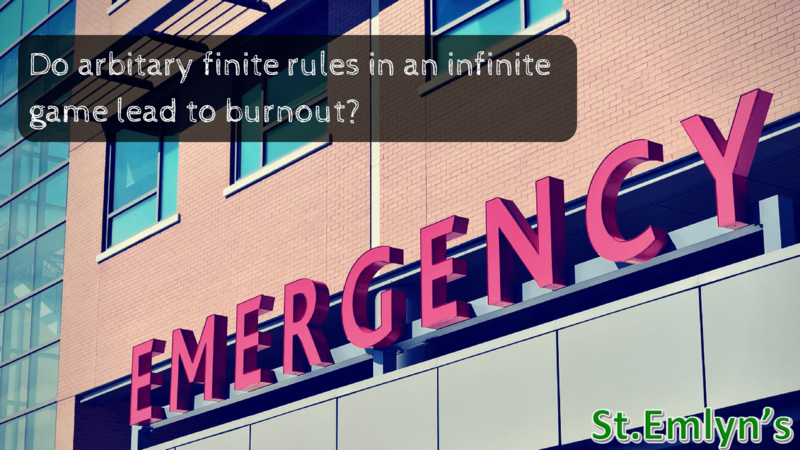 Trying to play an infinite game by finite rules often ends in a quagmire. Consider the USSR presence in Afghanistan; the USSR were playing to ‘win’ against an enemy who were playing to survive. Eventually the USSR decided that they had exhausted enough resources and withdrew. The provision of health-care is an infinite game; it has existed for as long as any form of civilisation has (https://archive.archaeology.org/9709/newsbriefs/trepanation.html), and is likely to continue for as long as there are people. In health care systems, defining long-terms aspirational goals is reasonably straight-forward but measuring your progress in the short or medium term may be less so. For example, you may wish to set up a training program to train high-quality Emergency Physicians for the next generation. You can look back at your progress after thirty years and congratulate yourself for a job well-done, but how do you demonstrate your progress after a quarter or even a month? One very attractive quality of finite goals is that they are easy to measure. Infinite goals can be less so. However infinite goals are essential in the long-term planning of health-care systems. Infinite goals provide direction. If you are setting off on a long journey, you don’t plan your trip by driving to the end of one street then deciding which way to turn next; you begin by deciding on your final destination. Once you know your destination, then even if the most direct route is blocked, you know how to work around it and reach your goal without getting lost. A concise, finite target such as driving 70 miles in an hour is only advantageous if you are moving in the right direction. Infinite goals are generally produced in answer to ‘Why?’ questions. For example, ‘Why does a country spend a significant proportion of its gross domestic product on providing health-care for it’s citizens?’. Infinite goals should be difficult to achieve, aspirational and say something integral about the principles of the organisation setting them. It’s very understandable that people want to be able to measure outcomes in health-care. It is a really, really expensive business and people want to ensure that they use precious resources wisely. But it is also extremely difficult to translate diffuse concepts such as quality into short-term, quantitive outcomes. The National Health Service in the UK was set up almost exactly seventy years ago. The Health Minister instrumental in introducing this, Aneurin Bevan stated, ‘..no society can legitimately call itself civilised if a sick person is denied medical aid because of lack of means.’ This is an admirable, infinite goal: the provision of universal health care regardless of means. Many of the indicators, targets or measurements in healthcare introduced since then are less aspirational. As healthcare professionals we should be aware of the type of game that we are playing and why we are playing it. We should be wary of attempts to construct a finite game out of an infinite pursuit. Healthcare leaders should be aiming to ensure the healthcare system endures for future generations. Braithwaite J. Changing how we think about healthcare improvement. The BMJ. 10.1136/bmj.k2014″ target=”_blank” rel=”noopener noreferrer”>https://doi.org/10.1136/bmj.k2014. Published May 17, 2018. Accessed June 27, 2018. The book “Finite and Infinite Games” was written by James Carse (not Cares). Greaat book.